Eurovudas Madrid 1 and 2 Log Cabins: The Eurovudas Madrid 1 and 2 Log Cabins feature a large double door with Georgian style glazing and 2 large single windows. The Madrid can be built with the window in side wall fitted in either the left or the right hand side of the cabin. 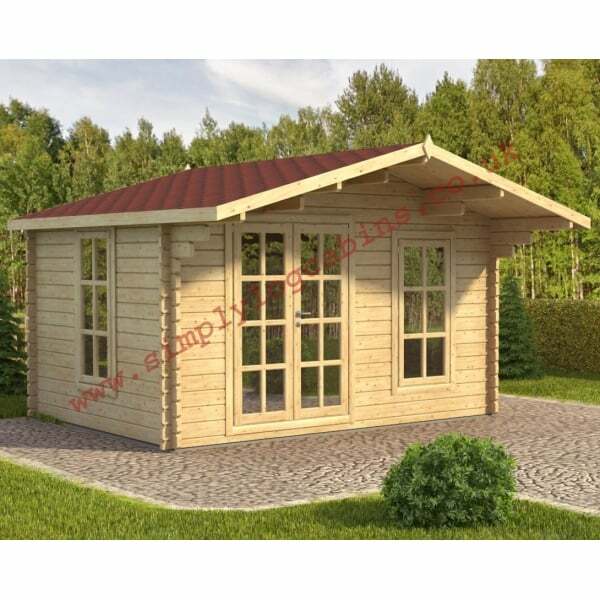 The Madrid is a highly practical and yet attractive garden building suitable for many purposes for both leisure and storage etc. The potential uses include as a home gym, a garden office, a children’s play room or a hoppy / crafting room in the garden and of course it can be used simply a a leisure or outdoor dining room from where you can simply enjoy outdoor living!